This online environmental management degree gives students a solid grounding in the areas of hydrology, soil science, pest management, water resources, and agricultural ecology so that graduates can find jobs with agricultural producers, consulting companies and government agencies involved in maintaining a sustainable environment. Students can look forward to careers in various fields in the agricultural, environmental and natural sciences sectors such as sustainable food and fiber production, environmental policy and analysis, water resources, energy resources, soil conservation, stewardship of natural resources, pollution management and international development. 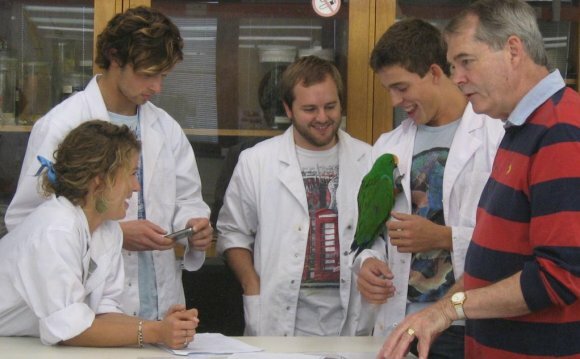 In addition to completing all university, college and general degree requirements, students enrolled in the Environmental Management program will have the opportunity to take a number of core courses, including Natural Resource Policy and Economics, Environmental Nutrient Management and Environmental Biogeochemistry along with several approved electives such as Economics, The World of Water and Environmental Monitoring Techniques. Required grade point average: 2.0 overall and 2.0 in the following courses. You MUST complete the following courses before transferring. * If you are missing one or two of these courses, you may be admitted conditionally. You must successfully complete the missing course(s) by the end of the first term of enrollment. No advanced registration for subsequent semesters will be allowed until you have met this condition along with the other tracking requirements. Additionally if you do not meet the above admission conditions in your first term, you will not be eligible to continue in this major and will have to qualify for admittance to another UF Online major in order to remain at UF.